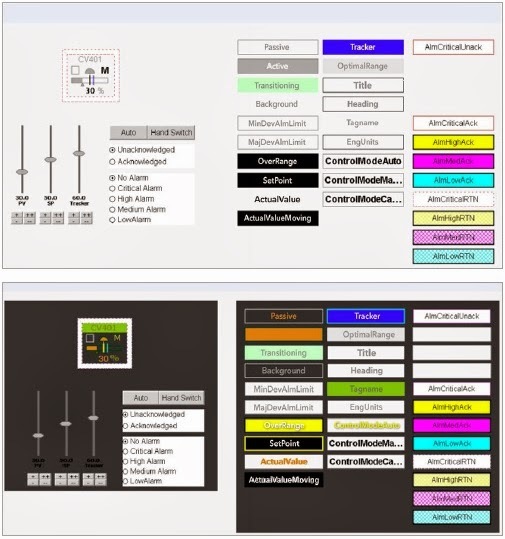 Element Styles: Typically, HMI applications are developed over time and by many engineers, which could lead to inconsistent standards, use of colors, text, and alarm or event indicators. Element Styles ensure a customer defined HMI look and feel across the enterprise regardless of whom or when it was designed. 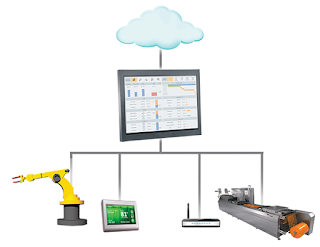 Every screen across the enterprise can have the same methodology for presenting information in context so that any operator in any plant will understand information in the same consistent manner. Create standardized colors, indicators, text formats, and more to improve operator training, reduce operator confusion, and enable operators to more quickly orient to the critical information without the need for interpretation. All this is engineered and managed in a single user friendly Element Styles Editor tool. Using the centralized management and deployment capability of the Development Studio, one click can update your applications globally. The two screens above are identical except for Element Style. Create customer-defined standardized colors, indicators, text formats, and more for your entire application in one Editor Tool.